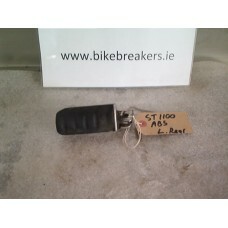 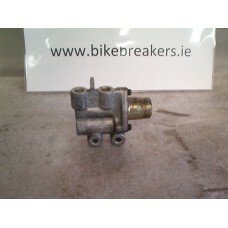 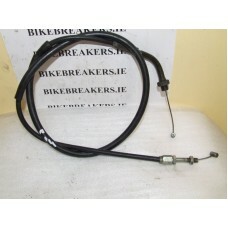 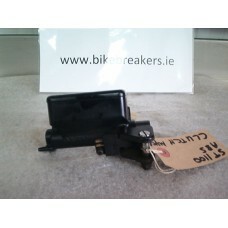 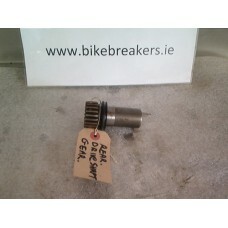 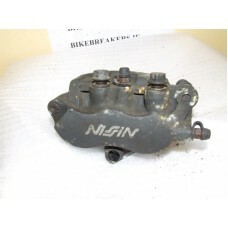 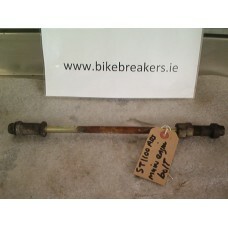 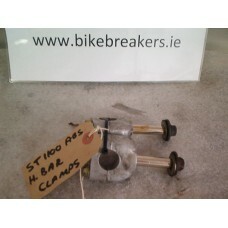 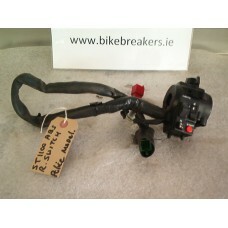 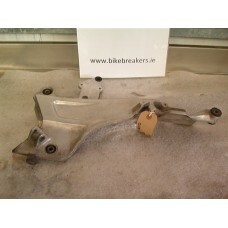 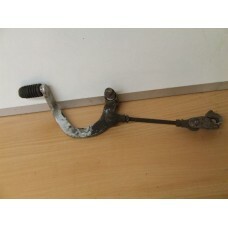 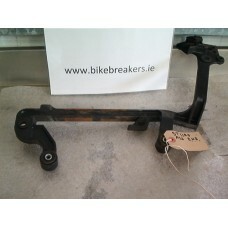 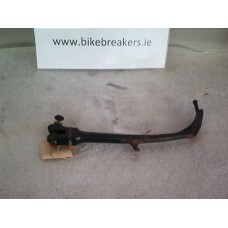 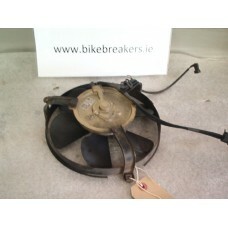 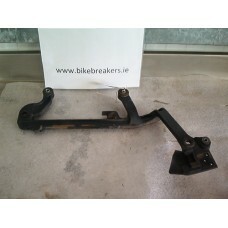 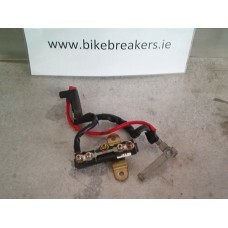 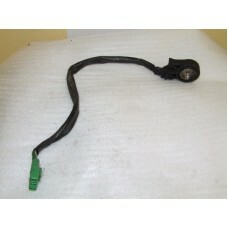 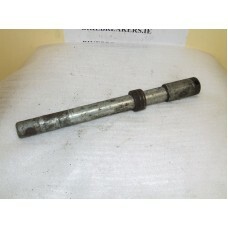 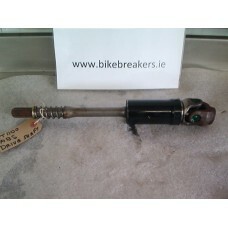 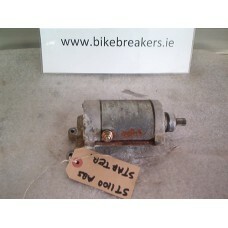 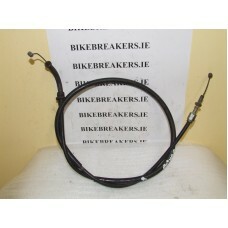 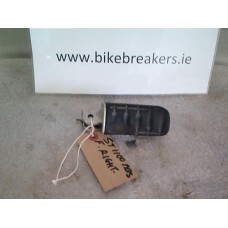 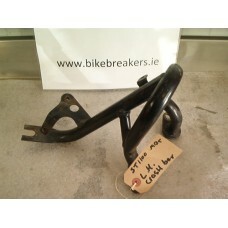 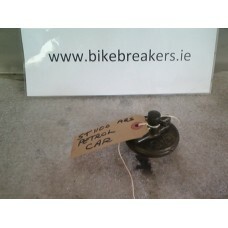 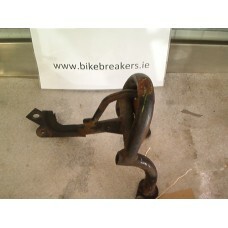 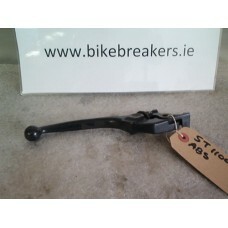 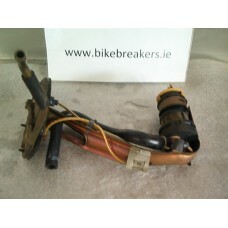 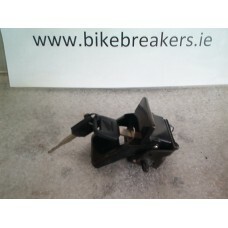 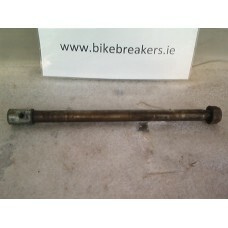 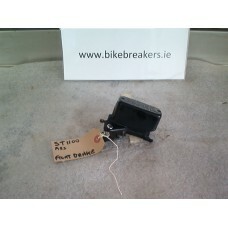 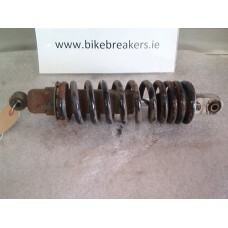 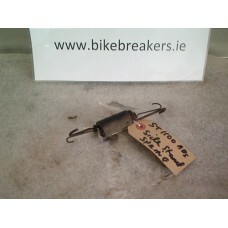 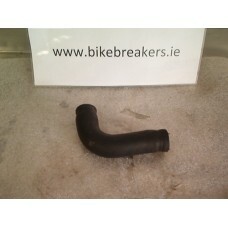 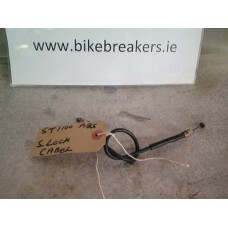 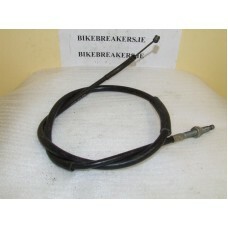 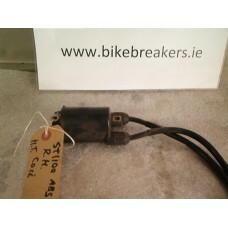 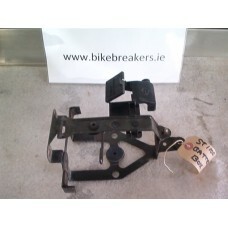 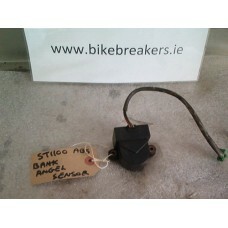 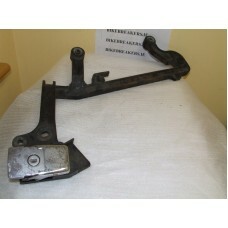 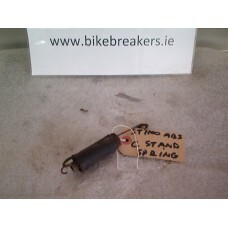 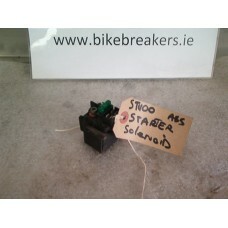 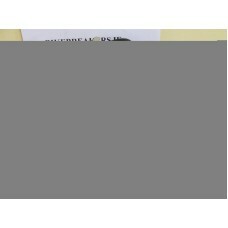 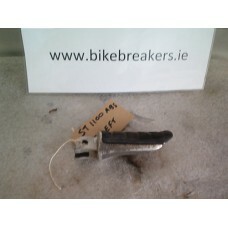 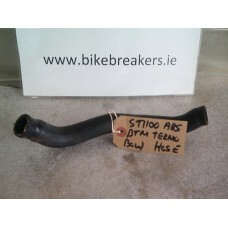 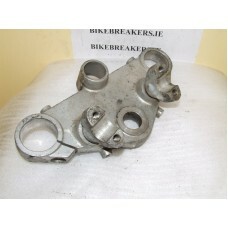 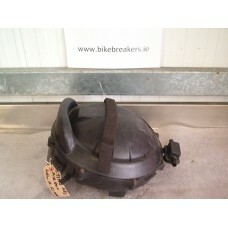 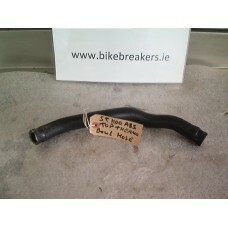 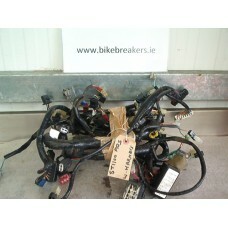 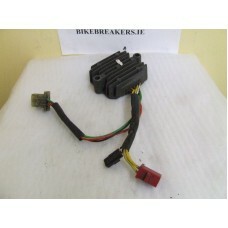 PAN EUROPEAN 1100 RIGHT HAND SIDE HANDLEBAR SWITCHES (POLICE MODEL) ABS VERY GOOD CONDITION.. 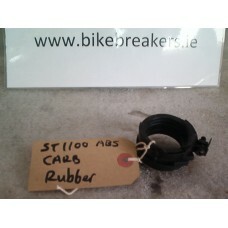 THIS IS A ABS RING FOR A ST 1100..
PAN EUROPEAN 1100, DRIVE SHAFT REAR GEAR IN VGC..
PAN EUROPEAN ABS 2001 ECU ,MAY FIT OTHER MODELS.. 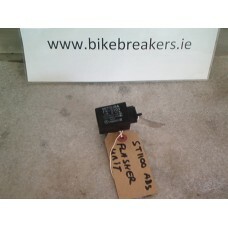 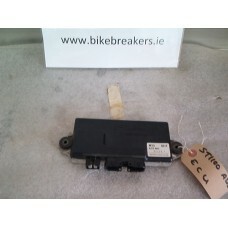 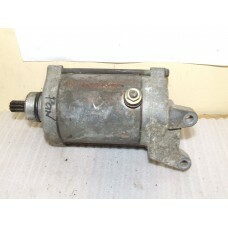 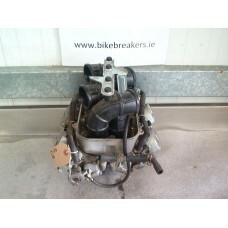 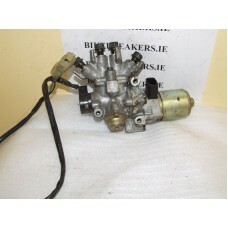 THIS IS A REAR ABS MODULATOR TO FIT A ST 1100 IN GOOD WORKING ORDER..
PAN EUROPEAN 1100 ABS SPEEDO DRIVE IN VERY GOOD CONDITION..
PAN EUROPEAN 1100 AIR BOX INCLUDING A NEW FILTER..
PAN EUROPEAN 1100 BANK ANGLE SENSOR..
PAN EUROPEAN 1100 BATTERY BOX..
BOTTOM STEERING YOKE TO SUIT A ST 1100..
PAN EUROPEAN 1100 ,BOTTOM YOKE..
PAN EUROPEAN 1100 BRAKE EQUALISER..
PAN EUROPEAN 1100 CARB RUBBERS ,GOOD CONDITION , SOLD INDIVIDUALLY..
PAN EUROPEAN 1100 CARBS IN GOOD WORKING ORDER..
PAN EUROPEAN 1100 CENTER STAND SPRING..
CHOKE CABLE TO FIT ALL ST 1100s.. 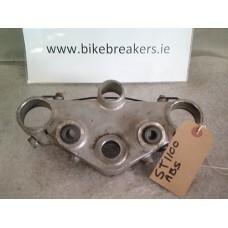 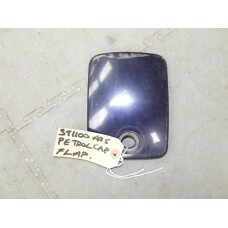 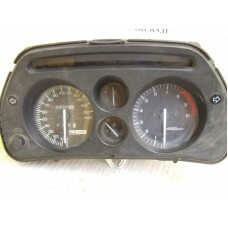 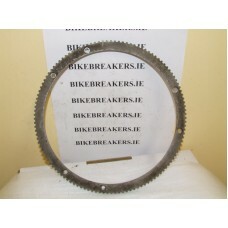 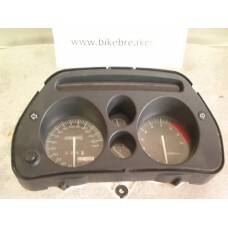 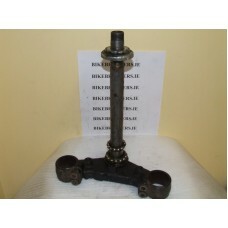 CLOCK SET TO FIT A ST 1100 PAN EUROPEAN ,SHOWING 10168 MILES IN EXCELLENT CONDITION ,NO DAMAGE .HA.. 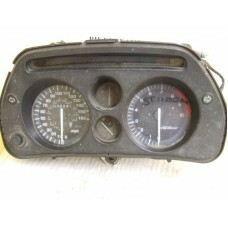 CLOCK SET TO FIT A ST 1100,SHOWING 35243 MILES, IN EXCELLENT CONDITION ,NO DAMAGE..
PAN EUROPEAN 1100 ABS MODEL CLOCKS WITH 30977 MILES SHOWING POLICE MODEL AND IN VERY GOOD CONDITION.. 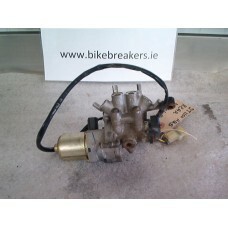 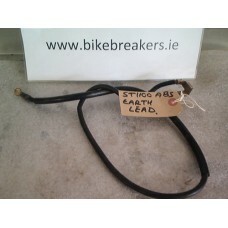 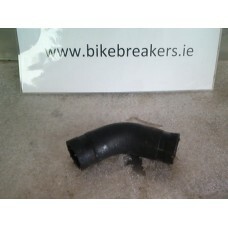 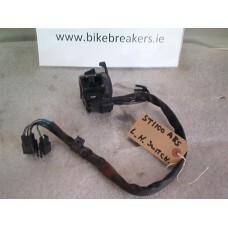 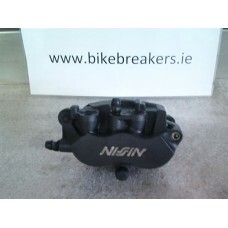 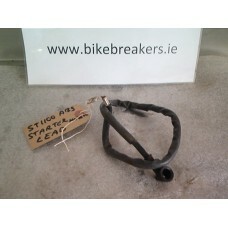 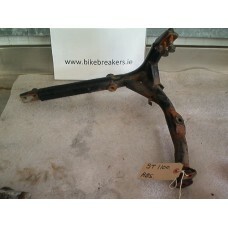 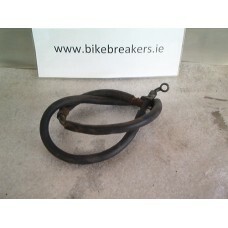 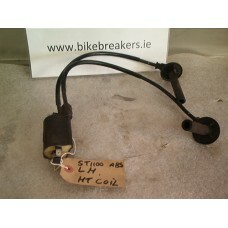 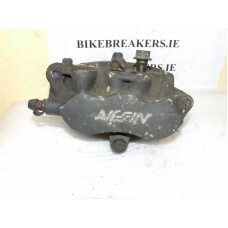 CLUTCH CABLE TO FIT A ST 1100..
PAN EUROPEAN CLUTCH MASTER CYLINDER IN VERY GOOD CONDITION..
PAN EUROPEAN LEFT SIDE HT COIL..
COOLANT BOTTLE TO FIT A ST 1100 IN VERY GOOD CONDITION..
PAN EUROPEAN 1100 LEFT SIDE ENGINE/CRASH BAR..
PAN EUROPEAN 1100 CRASH/ENGINE BAR , SLIGHT SCRUFF ON END , NOT BENT..
PAN EUROPEAN 1100 ,DASH PANEL LEFT SIDE IN GOOD CONDITION(POLICE MODEL)..
PAN EUROPEAN 1100 DRIVE SHAFT IN VERY GOOD CONDITION..
DRIVE SHAFT TO FIT A ST 1100 IN EXCELLENT CONDITION..
PAN EUROPEAN 1100 EARTH LEAD..
PAN EUROPEAN 1100 , ENGINE SUPPORT FRAME ,LEFT SIDE WITH SURFACE RUST ,BUT SOLID..
PAN EUROPEAN 1100 MID FAIRING LEFT ,,IN GOOD CONDITION..
PAN EUROPEAN 1100 MIDDLE FAIRING ,RIGHT,,IN GOOD CONDITION..
PAN EUROPEAN 1100 FAIRING STAY BRACKET IN GOOD CONDITION..
PAN EUROPEAN 1100 FLASHER UNIT..
PAN EUROPEAN 1100 FOOT PEG HANGER LEFT SIDE..
PAN EUROPEAN 1100 FOOT PEG HANGER ,RIGHT SIDE..
FRONT BRAKE MASTER CYLINDER IN VERY GOOD CONDITION TO FIT A PAN EUROPEAN 1100 ABS MODEL ,MAY FIT OTH..
PAN EUROPEAN 1100 , FRONT ABS PUMP ,PERFECT..
FRONT AXLE TO FIT A ST 1100..
PAN EUROPEAN 1100 FRONT BRAKE LEVER..
PAN EUROPEAN 1100 FRONT LEFT CALIPER..
PAN EUROPEAN 1100 FRONT FENDER (non abs) IN GOOD CONDITION..
LEFT FRONT BRAKE CALIPER TO FIT A ST 1100..
PAN EUROPEAN 1100 front left caliper abs..
FRONT RIGHT BRAKE CALIPER TO FIT A ST 1100..
PAN EUROPEAN 1100 FRONT RIGHT BRAKE CALIPER..
PAN EUROPEAN 1100 FUEL CAP WITH KEY..
PAN EUROPEAN 1100 FUEL DOOR FLAP..
PAN EUROPEAN 1100 FUEL PUMP IN GOOD WORKING ORDER..
FUEL SENDER UNIT IN GOOD WORKING ORDER..
GEAR CHANGE TO FIT A HONDAST 100 PAN EUROPEAN.. 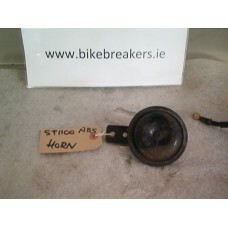 PLEASE SEE PIC..
PAN EUROPEAN 1100 HANDLEBARS IN GOOD CONDITION CHECK PIC..
PAN EUROPEAN 1100 HEAD LIGHT IN GOOD CONDITION..
PAN EUROPEAN 1100 HEADLIGHT ADJUSTER IN GOOD WORKING ORDER..
PAN EUROPEAN 1100 HEEL COVER LEFT SIDE..
PAN EUROPEAN 1100 HEEL COVER RIGHT SIDE..
PAN EUROPEAN 1100 HORN IN GOOD WORKING ORDER..
PAN EUROPEAN 1100 BOTTOM LEFT RAD HOSE..
PAN EUROPEAN 1300 RIGHT HT COIL..
PAN EUROPEAN 1100 INNER MIDDLE COWL IN GOOD CONDITION..
PAN EUROPEAN 1100 LIFT HANDLE.. 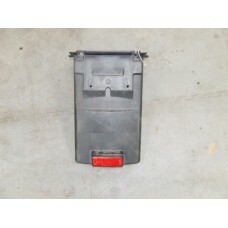 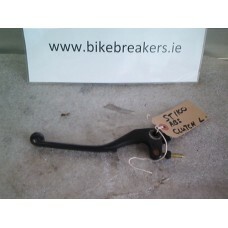 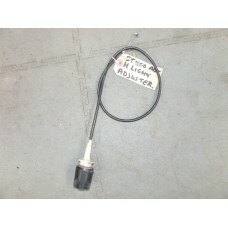 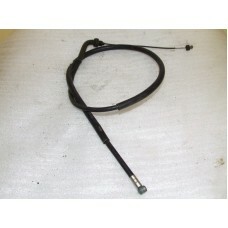 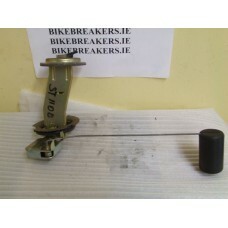 LIFT HANDLE TO FIT A ST 1100..
PAN EUROPEAN 1100 MAIN FUSE HOLDER 55AMP..
PAN EUROPEAN 1100 MAIN ENGINE MOUNT BOLT..
PAN EUROPEAN 1100 PANNIER LOCK WITH KEY.. 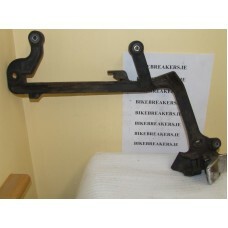 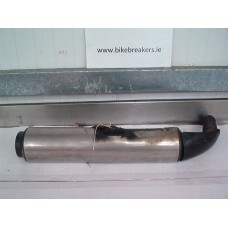 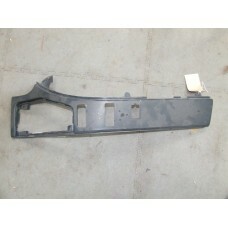 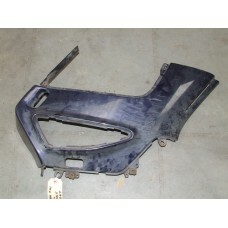 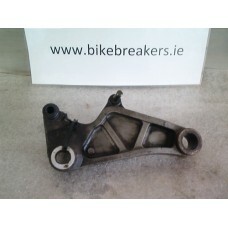 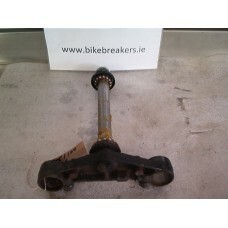 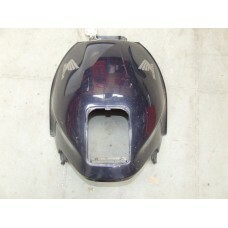 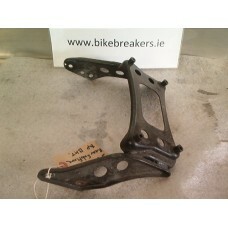 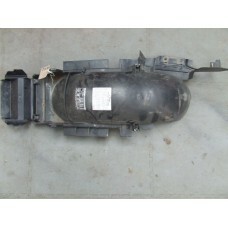 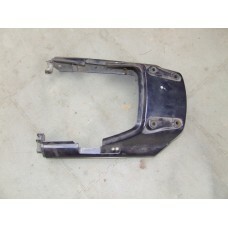 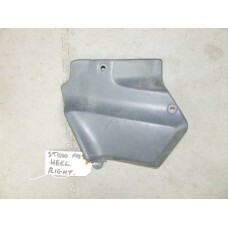 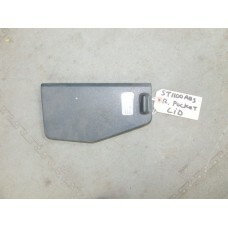 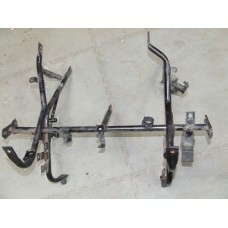 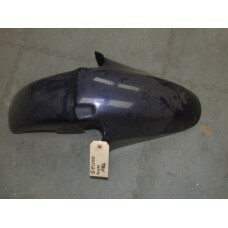 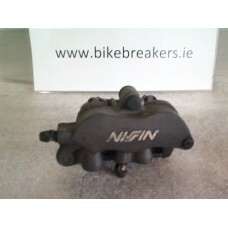 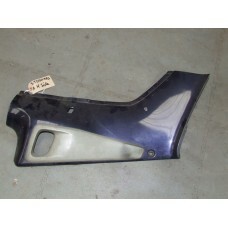 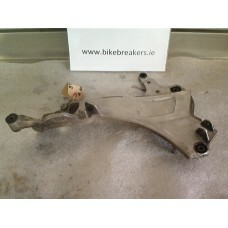 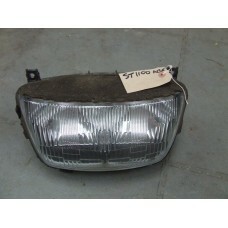 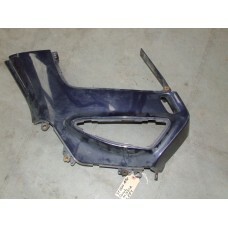 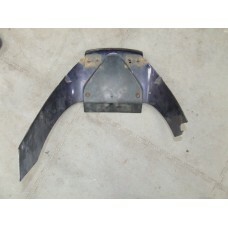 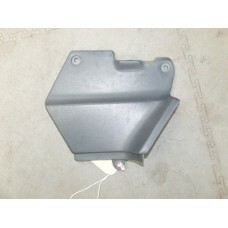 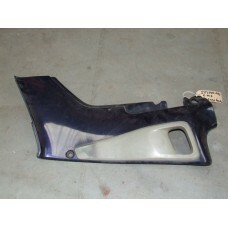 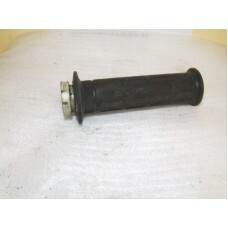 THIS IS A PANNIER RAIL TO SUIT A ST 1100 PAN EUROPEAN LEFT HAND SIDE..
PAN EUROPEAN 1100 PANNIER RAIL LEFT SIDE.. 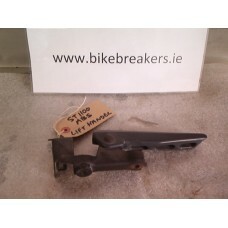 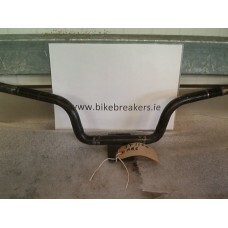 THIS IS A PANNIER RAIL TO SUIT A ST 1100 PAN EUROPEAN RIGHT HAND SIDE..
PAN EUROPEAN 1100 PANNIER RACK BRACKET RIGHT..
PAN EUROPEAN 1100 RIGHT SIDE POCKET COVER.. 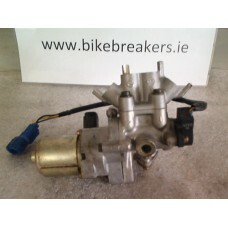 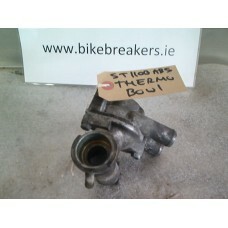 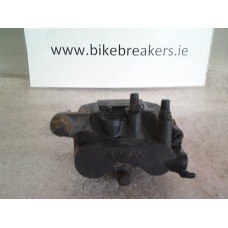 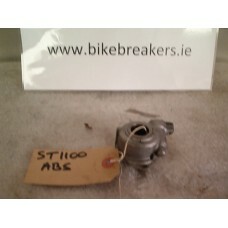 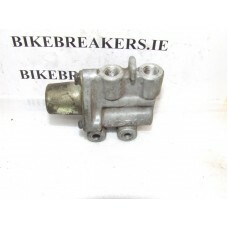 THIS IS A PROPROTIONING CONTROL VALVE FOR A ST 1100..
PAN EUROPEAN 1100 RAD FAN..
PAN EUROPEAN TOP RAD HOSE RIGHT SIDE..
PAN EUROPEAN 1100,REAR ABS PUMP , PERFECT..
PAN EUROPEAN 1100 REAR AXLE..
REAR AXLE TO FIT A ST 1100..
PAN EUROPEAN 1100 ABS REAR CALIPER..
PAN EUROPEAN 1100 REAR CALIPER BRACKET ABS..
PAN EUROPEAN 1100 REAR FENDER TIP IN GOOD CONDITION..
PAN EUROPEAN 1100 REAR FOOT PEG LEFT..
PAN EUROPEAN 1100 REAR SHOCK IN GOOD CONDITION A BIT OF SURFACE RUST ,BUT WORKING AS IT SHOULD..
PAN EUROPEAN 1100 REAR TOP BRACKET..
Pan European ,ST 1100 REGULATOR/RECTIFIER ,perfect..
PAN EUROPEAN 1100 RIDERS PEG LEFT..
PAN EUROPEAN 1100 RIDERS PEG RIGHT SIDE (rubber worn)..
PAN EUROPEAN 1100 SEAT LOCK CABLE ONLY..
PAN EUROPEAN REAR SEAT COWL..
PAN EUROPEAN 1100 LEFT HAND ,SIDE PANEL IN GOOD CONDITION..
PAN EUROPEAN 1100 RIGHT HAND SIDE PANEL IN GOOD CONDITION..
SIDE STAND TO FIT A ST 1100 PAN EUROPEAN..
PAN EUROPEAN 1100 SIDE STAND SPRING..
SIDE STAND SWITCH TO FIT A ST 1100..
STARTER MOTR TO FIT A PAN EUROPEAN 1100 , WILL FIT MOST YEARS..
ST1100 STARTER MOTOR, FITS ALL MODELS OF PAN EUROPEAN 1100..
PAN EUROPEAN 1100 STARTER MOTOR LEAD..
PAN EUROPEAN 1100 STARTER SOLONOID IN GOOD ORDER..
LEFT SIDE HANDLEBAR SWITCHES TO FIT A ST 1100 PAN EUROPEAN ABS..
PAN EUROPEAN 1100 TANK SHELTER IN GOOD CONDITION..
THERMO BOWL TO FIT A PAN EUROPEAN 1100..
BOTTOM THERMOSTAT HOSE TO FIT A PAN EUROPEAN 1100..
PAN EUROPEAN TOP THERMO HOSE..
THROTTLE GRIP TO FIT A ST 1100..
THROTTLE PULL CABLE (NOT RETURN CABLE) TO FIT ALL ST 1100s..
THROTTLE RETURN CABLE TO FIT ALL ST 1100s..
TOP YOKE,STEERING BRACKET TO FIT A ST 1100..
PAN EUROPEAN 1100 TOP YOKE ,FORK BRACKET..
PAN EUROPEAN ST 1100 ABS MODEL WIRING LOOM..
PAN EUROPEAN 1100 REAR INNER FENDER , IN GOOD CONDITION..